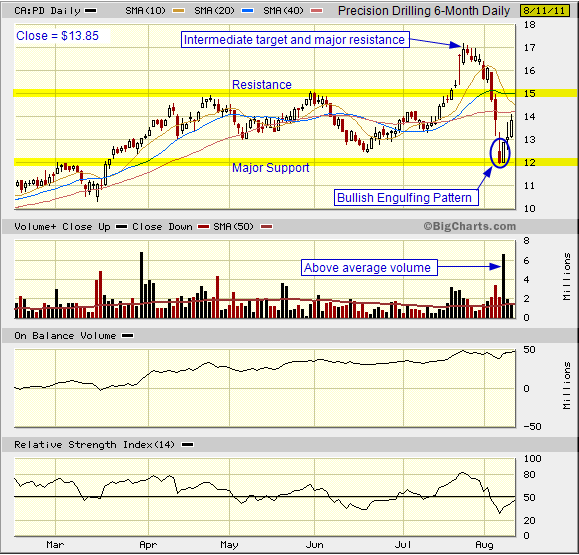 Biotechnology stocks had a huge move today. 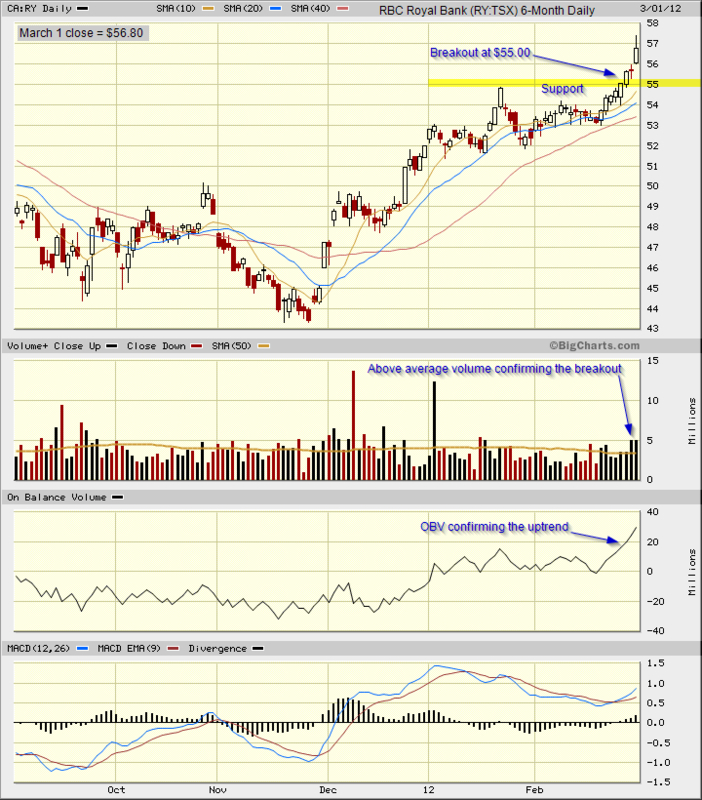 Breakout for IBB on the daily chart at $270. 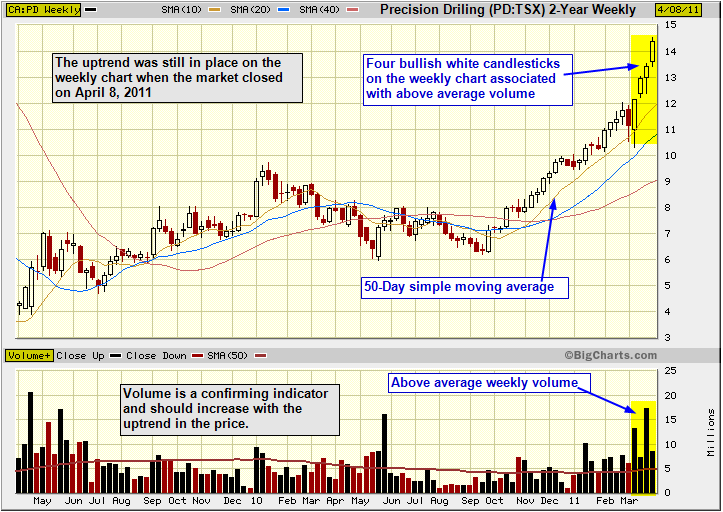 The breakout was on heavy volume. The candlestick today was a tall white shaven bottom and shaven head candlestick. 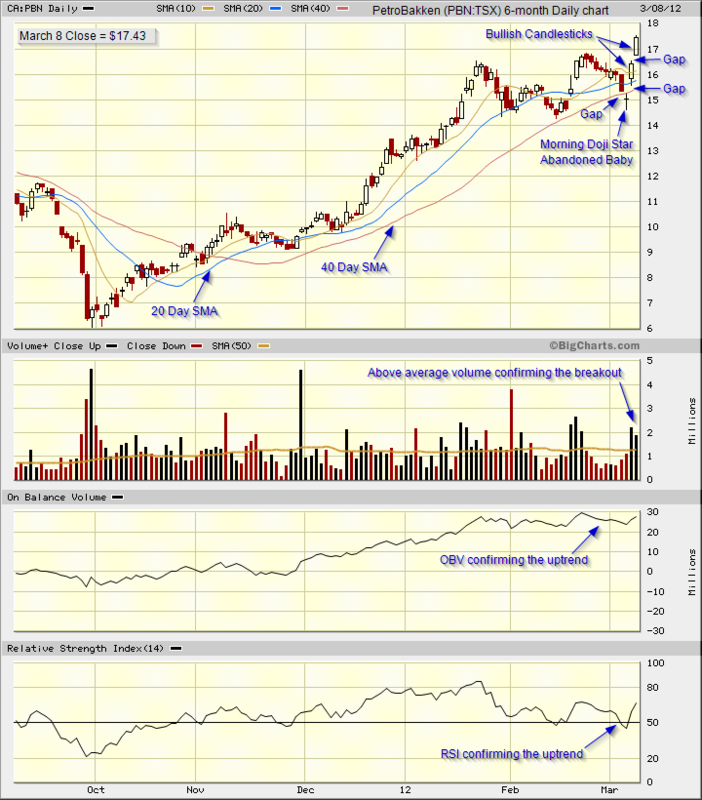 Volume, OBB, RSI and MACD are confirming the move for this market-cap weighted ETF. XBI is an equal weighted etf which had a similar move today. 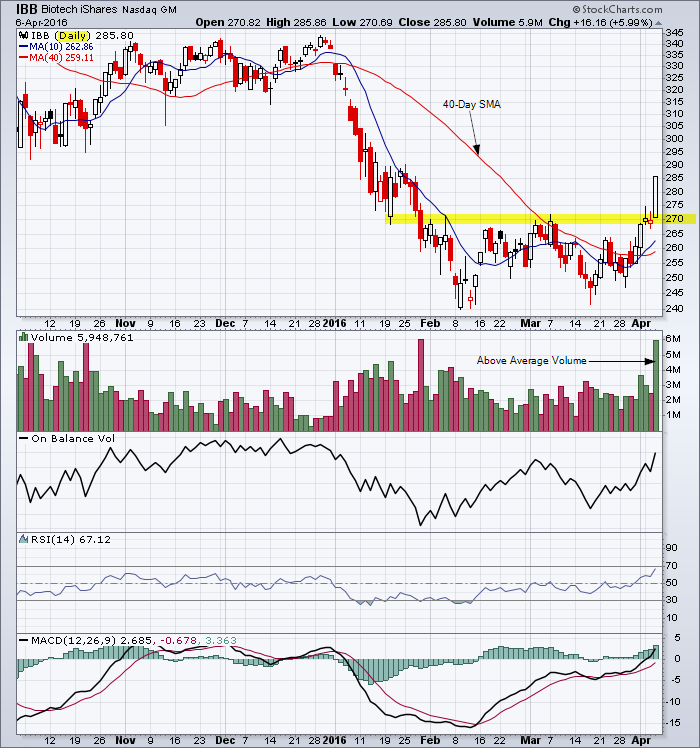 This entry was posted in Stocks and tagged biotech, breakout, IBB, shaven bottom, shaven head candlestick, volume on April 6, 2016 by Trader. 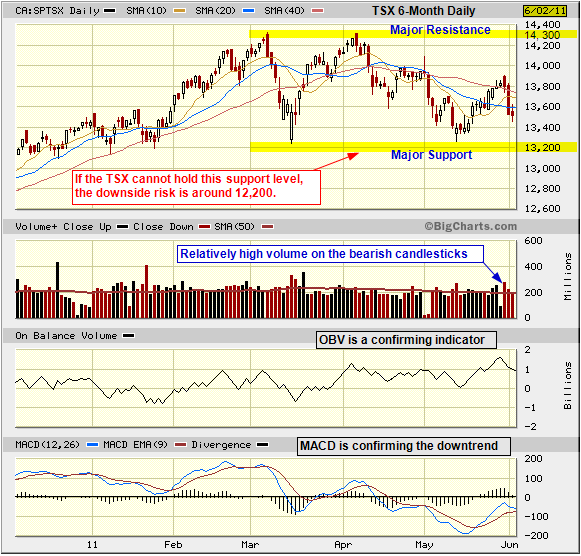 Chart Analysis: What is the downside risk for the TSX? 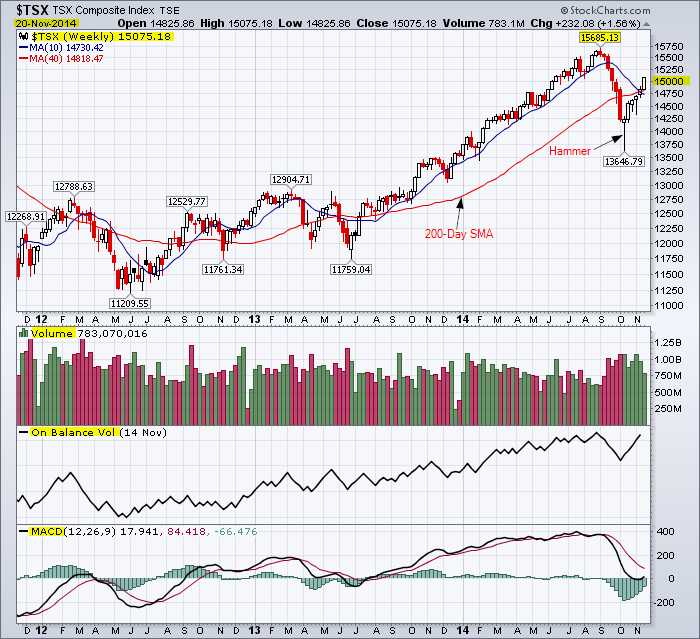 Reference the previous weekly chart of the TSX Index. 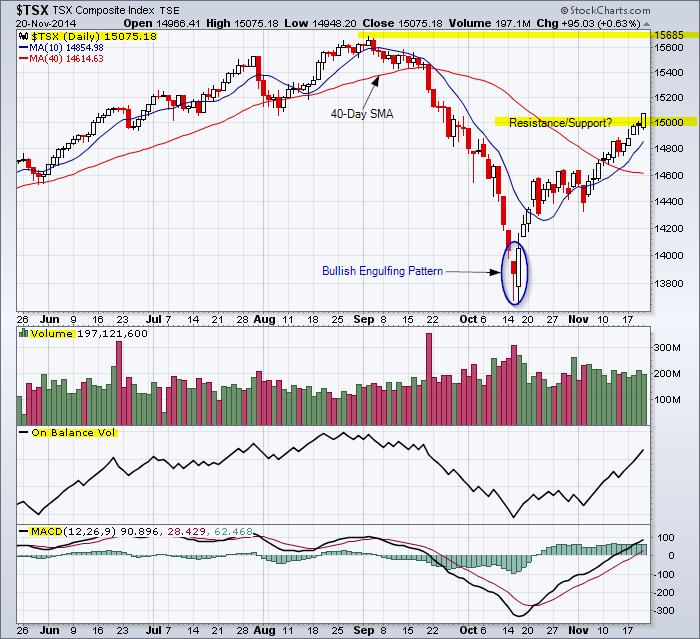 This entry was posted in TSX Index and tagged MACD, OBV, support, TSX, volume on June 3, 2011 by Trader.